Loving our bare face is always a good thing but makeup can be our best friend when we had a long day of work followed by a ruff night of sleep and we want to look fresh and awake the morning after. 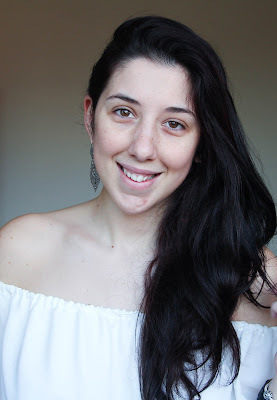 I have an everyday makeup routine that I stick to when I want to look like tiredness never gets me and I am sharing that with you here and now. And the best think is that it is also achieved with very affordable products! I hope I didn’t scare you here! This is me, bare faced. Nothing on. And I love myself like this – so does my boyfriend, thankfully! But I am not one that will go to work with no makeup on (unless I am doing a night shift). Makeup became an essential part of my everyday routine and saves me from listening to people saying so many times that I look tired. 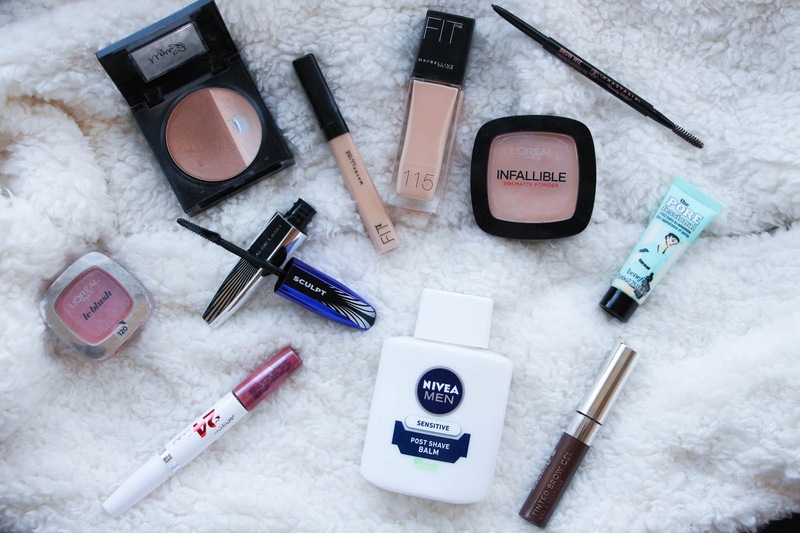 So here is my quick everyday makeup routine. First, moisturize and prime your skin. My favourite product at the moment for both those things is the Nivea Post Shave Balm for Sensitive Skin. This is a great product that I have reviewed here already (click for more) and it saves me loads of time in the morning as I dont have to wait for it to sink into my skin. I just gently apply it to my skin and when it is tacky, that is when I am ready for the next step. I quickly apply the Benefit Porfessional Primer just on the areas that I need more – my “T” Zone and then I am ready to start my base. When it comes to my base, I always apply foundation and concealer. I am not the kind of women that can get away with only applying concealer on an everyday basis, forgive me. At the moment, I am loving the Fit Me by Maybelline so both my foundation and concealer are from that range. 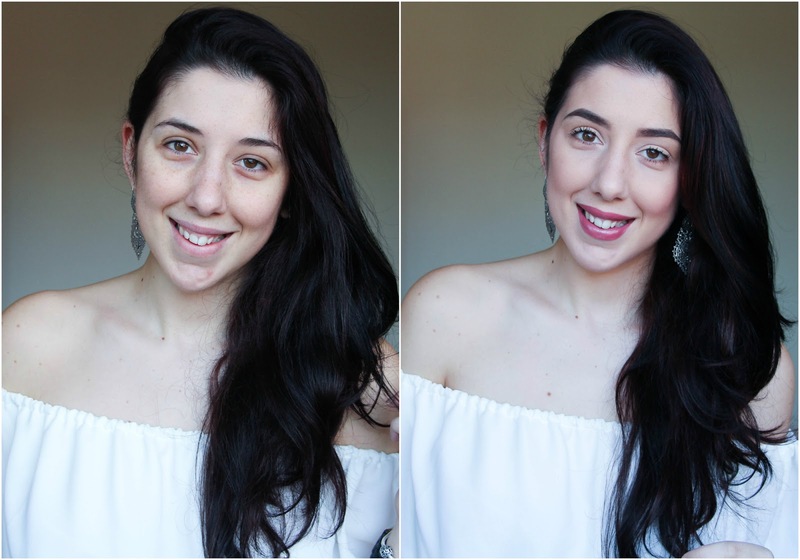 I apply the foundation with a brush (I am loving the Real Techniques Sculpting Brush) so I get more a medium coverage instead of a full coverage that this foundation will have when applied with a beauty blender as I feel that a medium coverage is more appropriate for an everyday makeup look. With the concealer, I always apply it in a triangular shape under my eyes, a bit on my chin, cupids bow, down the bridge of my nose and forehead too. To blend it I use the beauty blender as I need more coverage on those areas. And this is the base done. To set everything I go ahead with my new favourite powder, the L’oreal Infallible 24H Matte Powder. I love this one as it just sets everything in place and it makes my base last much longer than any powder I have every tried. And it also feels very light on my skin. Contouring is not something I spend a lot of time doing every morning but I do like to give my face some more definition so it doesn’t look as flat after applying my base. So I always use the Maybelline Master Sculpt Contouring Kit and with a Real Techniques Multitask Brush I apply it on my cheeckbones, sides of my forehead, jawline and nose. I do this very quickly, I am never too precised with this on a day to day basis because we are going for a natural look. So I am just giving my face a bit of dimension. Then I go ahead with the highlighter from this kit and apply it on the top of the apples of my cheeks, down my nose and cupids bow. Bang, dimension is back! For blush I always go for my L’oreal Le Blush in 120. It is the perfect pink shade for an everyday use as it looks so natural. I always apply this with my Real Techniques Multitask Brush too. Now with the brows – probably the step that takes me longer to do on this everyday makeup routine. If you read my blog you know that I have been loving the Anastasia Beverly Hills Brow Wiz and Tinted Brow Gel so I grab these too products and get my brows the way I like them: defined, strong, slightly thicker than my natural brows. You can read my full eyebrow routine here. For the eyes I keep it very simple. I grab that Maybelline Contour Kit and with the contouring shade I define my crease using the Real Techniques Crease Brush. This is bring definition back to my eye. We need that. And then with the highlighter I apply it all over my lid with a regular eyeshadow brush. Then, I apply my favourite mascara at the moment, the L’oreal False Lash Sculpt and the eyes are done. When it comes to lips, I always like to apply some kind of lipstick. I feel like my natural lip color is quite pale and therefore I like to apply a kind of pinky lipstick to cheer this look up. 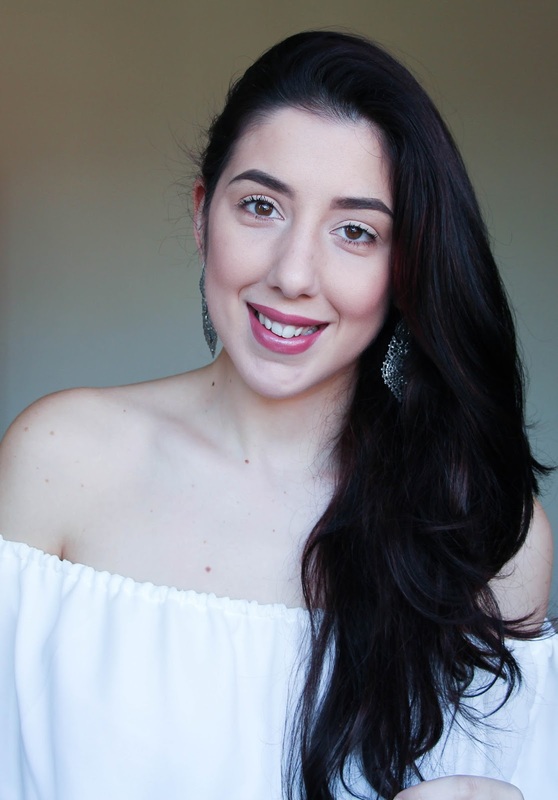 Recently I have been loving the Maybelline 24H Stay Lipstick in Rose Dust. It is the perfect shade of pink for me and for an everyday look. I love how it suits my skin tone and give a pop of color to this look. And finally, we are done! This might take me 15 minutes to do. It I have a lot of time, I take it slow and the same routine can take me half an hour. So it really depends on how quick I am willing to be! Here is a side to side before and after! Makeup is all about enhancing your natural beauty and I think that this makeup look is always very flattering without changing my looks so much. I absolutely love it. What do you think?